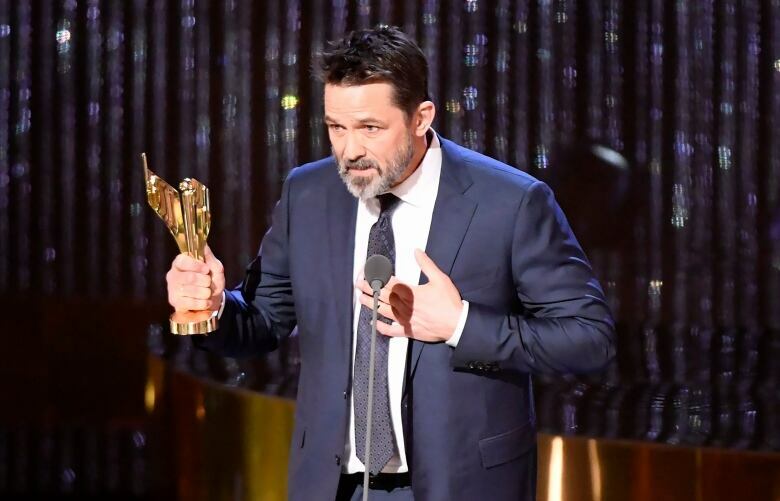 Schitt's Creek and Anne with an E took the top TV trophies at the Canadian Screen Awards in Toronto, while the French-language drama Une colonie scored best film. 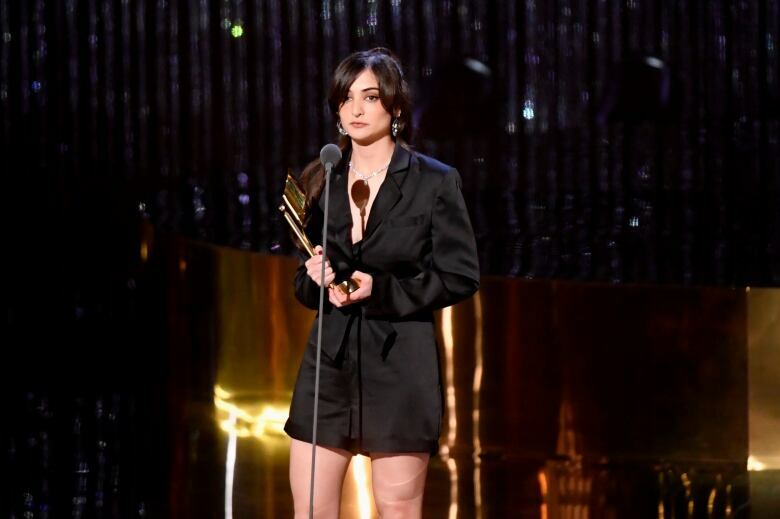 Schitt's Creek and Anne with an E took the top TV honours at the Canadian Screen Awards, while the French-language drama Une colonie scored best film. 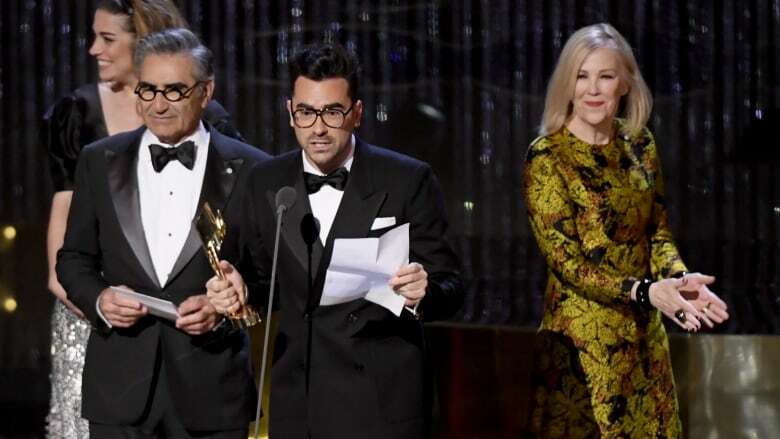 "I am so proud to be part of a show that laughs at the ridiculous of all that we are," said Schitt's Creek star Catherine O'Hara, who also took home an acting award at the ceremony in Toronto on Sunday evening. "Without malice or homophobia or racism or ageism." She jokingly added: "But this [award] is what it's all about!" "If there is a more professional and friendly and passionate place to make films, I just haven't been there yet," said Campbell in his speech, mentioning Sudbury and North Bay by name. "I want to thank Canada for being Canada. I'm a Yank and I'm particularly thankful to Canada these days." 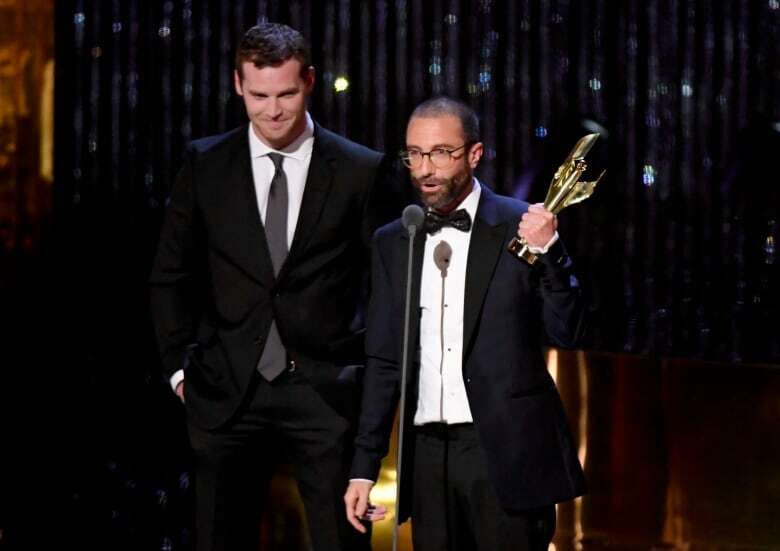 Schitt's Creek, Letterkenny lead Canadian comedy takeover in U.S.
Letterkenny, a comedy about two friends living in a small Ontario community, won for its writing. 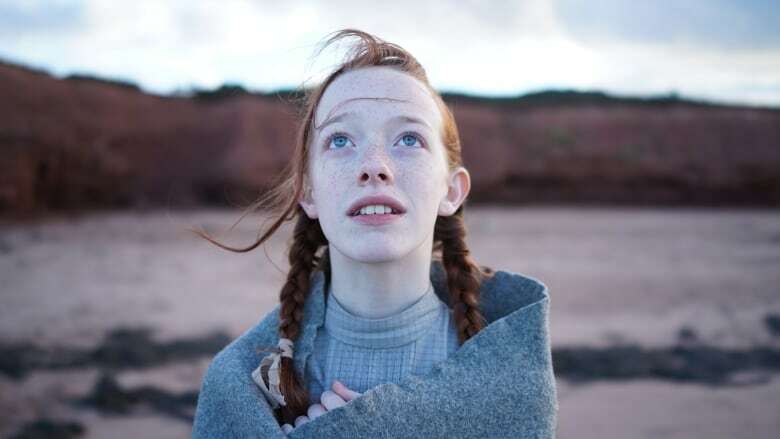 Une colonie (A Colony), a French-language coming-of-age drama about high school and family, won best motion picture. Jasmin Mozaffari won for directing the teenage drama Firecrackers. She was one of three women nominated in the category — notable given the lack of any female directing nominees at this year's Oscars. Special honours were given to comedian Mary Walsh. A writer-actress-comedian well known for This Hour Has 22 Minutes, Walsh was acknowledged for her achievements with the Earle Grey award. The comedy troupe The Kids in the Hall, whose eponymous TV series ran from 1989-95, received the Academy Icon Award. 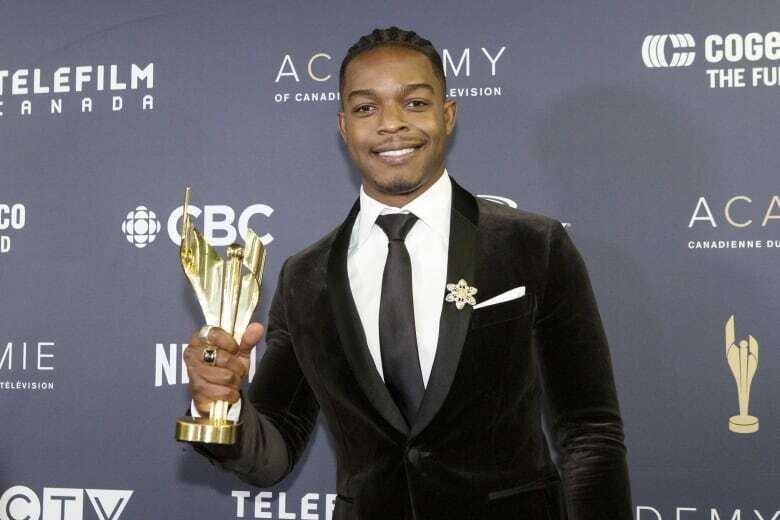 If Beale Street Could Talk star Stephan James was given the inaugural Radius Award. According to the Canadian Academy's website, it's "in recognition of a Canadian in the entertainment industry for making waves globally." "I want to dedicate this award to young black boys and girls across the country," said James. "I want to tell you that your craziest dreams, your wildest imaginations are all possible. No matter where you are. No matter where you come from." 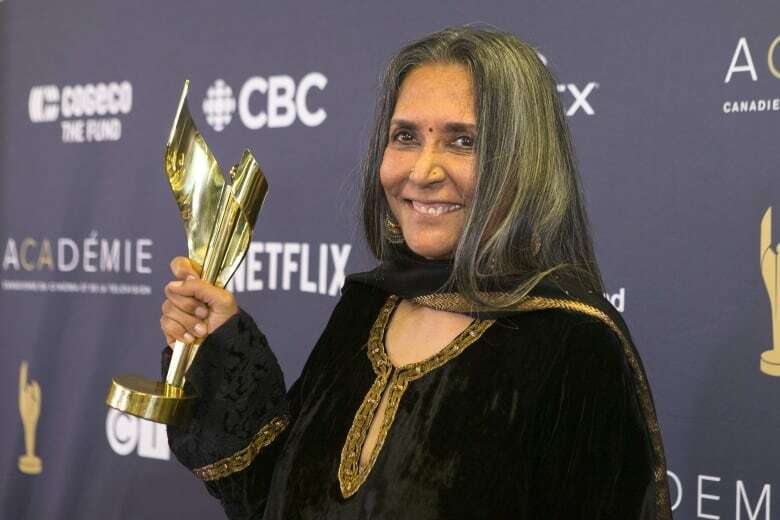 "Many of us are immigrants in this country and, from the outset, are searching for a sense of home," Mehta said on stage after a montage highlighting her work was shown. "We, in this room, must ensure that we continue to create a country that is not divisive and where dialogue continues to be possible." A full list of the evening's gala winners is below.